A quantitative structure activity analysis based on linear free energy related approach of Hansch was attempted on a series of glucagon receptor inhibitory triaryl imidazoles. Substituent constants are used to characterize the effect of structural modification on aromatic ring A and B of triaryl imidazole derivatives on glucagon receptor inhibition. The statistically significant correlations deduced by multiple linear regression analysis suggest that steric property of the substituents in aromatic ring B governs the glucagon receptor binding of triaryl imidazoles. The hydrogen acceptor atoms in the aromatic ring B is shown to have a positive influence on the active site binding of triaryl imidazoles whereas the hydrogen acceptor atoms in the aromatic ring A appears to have a negative effect on the inhibitory potency of triaryl imidazoles. Additionally, the study also indicates that bulky substituent in aromatic ring B confers selectivity for glucagon receptor over p38 mitogen activated protein kinase enzyme. C. Karthikeyan , P. Manoj Kumar , N.S. Hari Narayana Moorthy , S.K. Shrivastava and Piyush Trivedi , 2006. Quantitative Structure Activity Relationships of Some Selective Inhibitors of Glucagon Receptor: A Hansch Approach. Asian Journal of Biochemistry, 1: 307-315. Diabetic mellitus is a group of disorders of carbohydrate metabolism, in which multiple defects in insulin action and insulin secretion lead to hyperglycaemia and the insulins effect on glucose uptake in skeletal muscle and adipose tissue, glucose production in liver and kidney and lipolysis in adipose tissue and impaired (Valeria et al., 2002; Hilary et al., 1998). Diabetes mellitus increases the risk of hypertension, myocardial infarction, cardiomyopathy, stroke and microvascular diseases underlying retinopathy, nephropathy and neuropathy. Among the major type of diabetic mellitus (type I and type 2), the type 2 diabetes mellitus (type 2DM) is a common disease affecting 5 and 7% of people living in Europe and US, respectively, but the prevalence of this disease might be as high as 20 to 25% among South Asian immigrants (Panzram, 1987; UKPDS, 1991; ADA, 1995). So the increasing realization of the need for optimal glycaemic control and the pitfalls of available therapeutic options in type 2 diabetes has led to active search for newer modalities of therapy. The search found that glugacon, a 29-aminoacid peptide produced in the α- cells of the pancreas is a major counter regulatory hormone to insulin, stimulating glycogenolysis and gluconeogenesis. Binding of glucagons to its receptor which signals via-G-proteins, stimulates adneyl cyclase and increases free Ca2+, resulting in increased glucose output. The bihormonal hypothesis proposed that glucagon contribute to elevated levels of glucose in diabetics (Burcelin et al., 1996). A strong body of evidence has prompted the pursuit of glucagon receptor antagonist for the treatment of type 2 diabetes that lowers fasting plasma glucose levels and improve glucose tolerance in diabetics. Several peptidyl antagonists of glucagon receptor are known. Glucagon like peptide (GLP-1), a peptidyl antagonist and is the cleavage fragment (7-36 amide) of proglucagon produced by small intestinal L-cells and is considered to be an important insulinotropic agent (Nauck, 1997). GLP-1 potentiates nutrient-induced insulin secretion via receptors in the pancreatic cell membrane, which activate cAMP. Although, there is no deficiency of the peptide in type 2 diabetes (Drucker, 1998), but inhibit the dipeptidyl peptidase IV enzyme, which degrades GLP-1 (Macolm and Clifford, 1999). Efforts directed to circumvent this problem led to the development of non-peptide antagonist such as diaminostyryl-dichloroquinoxaline, substituted benzimidazoles, pyridylphenyls and biphenyl derivatives. In further development of this class of potent antidiabetics, (Chang et al., 2001) synthesized and studied structure activity relationships of triarylimidazole derivatives for human glucagon receptor antagonistic activity and p38 mitogen activated protein kinase (MAP Kinase) inhibitory activity. Although, Chang et al. (2001) pointed out certain structural features important for selective inhibition of the glucagon receptor over p38 MAP kinase on the basis of Structure Activity Relationship (SAR) studies, information derived from SAR can be fortuitous and not reliable. Therefore, a Quantitative Structure Activity Relationship (QSAR) study was proposed for the abovementioned series of compounds to rationalize structural requirements for increasing binding affinity of triarylimidazole derivatives to glucagons receptor. A QSAR study sought to explain and predict activities of series of congeners by utilizing empirical descriptors. Further, QSAR enables the investigators to establish in silico quantitative models to predict the activity of novel molecules prior to their synthesis and simultaneously provide deeper insight in to the mechanism of drug-receptor interaction. The series of triaryl imidazoles reported by Chang and his co-workers comprises of 41 compounds with structural modifications at carbon 2, 4 and 5. Efforts spared by Chang et al. (2001) to substitute the basic imidazole nucleus with other five membered rings led to marked reduction or loss of biological activity. The imidazole ring was found to important for this series of compounds and similarly, pyridinyl substitution at C5 was found to be optimal for these analogs. Structural modification on the aryl/heteroaryl ring at C4 and aryl ring at C2 position imidazole nucleus influences the glucagon receptor antagonistic activity of triarylimidazole derivatives. However, the present study is confined only to those molecules with phenyl substitution at C2 and C4 position, as these congeners form majority of the dataset and also exhibits good inhibitory potency against Glucagon receptor. Related to the foregoing, it is obvious that using such congeners for QSAR analysis will lead to quantitative models with high predictive accuracy. In the view of above, QSARs were formulated for the compounds in the series employing extrathermodynamic approach pioneered by Hansch. A dataset of 27 compounds out of 41 compounds reported by Chang et al. (2001) was adopted for the present study after excluding l1 molecules without a well defined biological activity and 3 molecules (thienyl/napthyl ring at C4 of imidazole scaffold) that are not congeners to the rest of the dataset. The experimentally obtained Glucagon receptor antagonistic activity values (IC50) in micromolar units of 27 congeneric triaryl imidazoles were transformed into molar units and subsequently converted to negative logarithmic values (pIC50) prior to the statistical analysis. Table 1 lists the compounds used for the study along with its activity parameter values. The parameters investigated for the present study includes substituents constants representing lipophilicity ((∏), polarizability (MR), electronic nature (σ, F, R) and steric constraints (sterimol parameters B1, B5, L). Since the electronic properties of the substituents in the aromatic ring are position dependent, the calculated electronic parameters were made site specific by factoring the parameter relative to its position in the aromatic ring. Additionally, the sterimol parameters were also factored relative to its position in the aromatic ring in order to clearly understand the steric influence of substituent at different positions in the aromatic ring B. All the parameter values were taken from the reported literature (Selassie, 2003) (Table 2). QSAR models were constructed by forward step wise regression analysis employing statistical program SYSTAT 10.2 version (SYSTAT 10.2, 2003). The generated correlations were then refined by a standard regression method with due consideration to the significance of the individual descriptors, the intercorrelation between them and the number of data points. The relationships derived were tested according to the requirements of a meaningful correlation analysis and QSARs were considered only if the correlation coefficient R is above 0.90 or higher (variance, R2>0.80), minimum intercorrelation between the descriptors found in the same model (< 0.5), Fischer ratio values and p values of 95% level of significance. In the equations, N is the number of molecules. R is the correlation coefficient, R2 is the squared correlation coefficient, SEE is the standard error of estimate, F is the Fischer ratio values at 95% confidence levels and p-value is the significance level of the regression. The figures within the parentheses are 95% confidence limits. Equation 1-3 manifests good statistics and accounts for more than 75% of the total variance in the biological activity. The F-statistics indicate that the equations are significant at 99% level. The significance of regression coefficients and orthogonal nature of the parameters in the equations are established by their corresponding t-test values and VIF values given in Table 3.
of the receptor and it favors steric interactions with some complementary groups in the receptor. The second parameter HA (A) in the correlation represents the number of hydrogen acceptor atoms in the aromatic ring A. The negative coefficient of the term in the equation suggests that presence of substituents with hydrogen acceptor atoms in the aromatic ring A is detrimental to the glucagon receptor antagonistic activity of triaryl imidazoles. The term ∑∏B in the Eq. 2 represents the summation of contribution of substituents in the aromatic ring B to the total lipophilicity of the molecule. The coefficient of the parameter bears a positive sign, which suggest that highly lipophilic substituents in the aromatic ring B, is conducive for the glucagon receptor antagonistic activity of triaryl imidazoles. The negative coefficient of the parameter HA(A) indicates the negative influence of the hydrogen acceptor atoms in aromatic ring A on the GluR inhibitory potency of triaryl imidazoles. The sterimol parameter B5B(O) which represents the size of the ortho substituents in aromatic ring B carries a positive coefficient in the equation so it may be proposed that bulky substituents at ortho position of the aromatic ring B favors steric interactions between the molecule and the enzyme. Compound 8 was found to be a statistical outlier in the correlations and 2 (Z Score values >2.5). The reason for its outlier behavior may be due to the fact that the compound is extremely inactive and none of the parameters found in the correlation can account for its decreased glucagon receptor inhibitory potency. Another correlation (Eq. 3) is also obtained with the parameters representing number of hydrogen bond acceptor atoms in aromatic ring B, number of hydrogen bond acceptor atoms in aromatic ring A, sterimol parameters B1 and B5 for para substituents in aromatic ring B. Although the correlation is marginally inferior in statistical significance to Eq. 1 and 2, it is considered for the present study on account of two aspects; firstly it provides information regarding importance of hydrogen acceptor atoms in aromatic ring B and it also includes the terms for steric property of substituents in the aromatic ring A. The parameter HAB bears a positive coefficient in the Eq. 3, which suggests that substituents with hydrogen acceptor atoms will increase the GluR inhibitory potency of the triaryl imidazoles. Interestingly the sterimol parameters B1 and B5 for the para substituents in the aromatic ring A carries opposite signs in Eq. 3 i.e., B1 bears a positive sign whereas B5 carries a negative sign. This phenomenon signifies that only substituents of optimal size can be accommodated in the para position of aromatic ring A. It is also noteworthy that compound number 8, which was found to be a misfit in the Eq. 1 and 2, quietly fits into the dataset in this equation. This may due to the fact that the phenyl substituent is well characterized by the maximum width parameter B5 in Eq. 3. The finding indicates our earlier statement that the outlier behavior of the compound is attributed to absence of any parameter to account for its decreased glucagon receptor inhibitory potency. From the correlations discussed so far it becomes increasingly apparent that hydrophobic substituents in the aromatic ring B predominantly governs the active site binding of triaryl imidazoles. The finding probably suggests that the substituents in the aromatic ring B orient towards a large hydrophobic pocket in the receptor thereby favoring steric interactions with the receptor. The results of the study also suggest that hydrogen acceptor atoms (oxygen) in the aromatic ring B enhance the activity of triaryl imidazoles. Moreover, the role of the hydrogen acceptor atom in the aromatic ring B is not position specific as hydrogen acceptor atom in ortho, meta and para position of aromatic ring seems to increase the biological activity of triaryl imidazoles. The position independent influence of the hydrogen acceptor atoms rules out the hypothesis that specific hydrogen bonding interactions exist between the molecule and the receptor. So, the phenomenon might possibly be owing to the fact that introduction of oxygen between the alkyl or aryl group and the aromatic ring B induce a degree of flexibility in the rotation of substituents about the bond which in turn helps in the proper orientation of the bulky groups to favor steric interactions with receptor. The hypothesis is also supported by the observation that the bulky groups directly linked to the aryl ring exhibit decreased gluR inhibitory potency than the bulky groups bonded through ethereal linkage. Furthermore, the counterbalancing behavior of the sterimol parameters B1 and B5 characterizing the substituents in aromatic ring A and negative influence of parameter HAA representing hydrogen acceptor atoms in the aromatic ring A in the QSAR equation indicates that para position of the of aromatic ring A cannot accommodate bulky substituents and hydrogen acceptor atoms therefore, unsuitable as a site for structural manipulation to improve the potency of triaryl imidazoles. In addition to potent glucagon antagonistic activity, it is still desirable for triaryl imidazoles to maintain a good degree of selectivity for glucagon receptor over p38 mitogen activated protein kinase. In the view of above, the present study was extended for finding structural features contributing to the selectivity for the glucagon receptor over p38 MAP kinase. QSARs were constructed using selectivity ratio Y [where Y = log (1/IC50 (Glucagon receptor)) log (1/IC50 (P38 MAP Kinase))] as dependent variable and the calculated parameters as predictor variables. Only 23 compounds were employed for the deduction of QSARs as the remaining 4 compounds did not exhibit a well defined activity against p38 MAP kinase. The best linear regressions generated are summarized below. Surprisingly, the Eq. 5 derived for modeling the selectivity of triaryl imidazoles includes the same set of parameters present in the Eq. 1. In fact, the Eq. 5 shows better statistical quality than Eq. 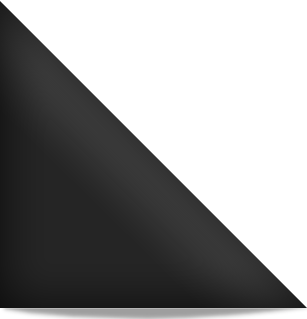 1 as suggested by high R2 values. The positive coefficient of the parameter ΣMRB in the Eq. 4 and 5 indicates the importance of bulky substituents in aromatic ring B for selectivity whereas the negative coefficient of the parameter HA (A) in the Eq. 5 suggests that the presence of hydrogen acceptor atoms decreases the selectivity of these congeners for glucagon receptor. It becomes very much evident form both Eq. 5 and 6 that the structural features which influences the inhibitory activity of triaryl imidazoles also contributes to the selectivity for the inhibition of glucagon receptor over p38 MAP kinase. The triparametric correlation (Eq. 6) resembles Eq. 3 except for the third parameter B5B(O) is replaced by electronic parameter Hammett constant σB(p) calculated for para substituents in aromatic ring B. The negative coefficient of the parameter suggests that electron-releasing substituents in the para position of aromatic ring B will enhance the selectivity for glucagon receptor over P38 MAP kinase. The generated QSARs were validated for predictive ability (Leave one out method) using our in-house statistical program VALSTAT (2004). The statistical program which is tailored specifically for QSAR statistics estimates the predictive potential of model by calculating the validation parameters squared cross-correlation coefficient (q2), standard deviation of sum of square of difference between predicted and observed values (SPRESS) and standard deviation of error of prediction (SDEP). It is worth mentioning that all the generated correlations exhibits good predictive ability as established by high q2 values (> 0.7) and the best being recorded for Eq. 4 and Eq. 6. Besides the validation made by the leave-one-out procedure, the generated correlations were also tested for the ability to reproduce -log IC50 values of the compounds in the series and a comparison was made with observed values (Kubinyi, 1994) (Table 4 and 5). In conclusion, the present study gives rise to QSARs with good predictive capacity for glucagon antagonistic activity of triaryl imidazoles. For the dataset of 27 molecules with well defined glucagon receptor antagonistic activity, steric property of the substituents in the aromatic ring B seems to be the governing factor for active site binding of triaryl imidazoles. Though the hydrogen acceptor atoms in aromatic ring B appear to be of importance in the activity of triaryl imidazoles, its role in the ligand-receptor binding is not pertained to hydrogen bonding interaction with the glucagon receptor. Further, the results of the study also indicate that substituents in the aromatic ring A are least likely to influence the activity of triaryl imidazoles except for the hydrogen acceptor atoms which decreases the receptor affinity of triaryl imidazoles. Selectivity studies based on the QSARs generated with logarithm of ratio between the IC50 values triayl imidazoles p38 MAP kinase and glucagon receptor suggest that the bulky substituents in aromatic ring B might also contribute to the selective inhibition of glucagon receptor over p38 MAP kinase by triaryl imidazoles and hydrogen acceptor atoms in aromatic ring A decreases the selectivity for glucagon receptor. Finally, it should be emphasized here that the present study serves the purpose of optimizing the structural features of triaryl imidazole congeners for potent and selective glucagon receptor inhibition and predicting the activity of the newly designed molecules. Additionally, the study also provides good deal of information on mechanism of binding of these triaryl imidazoles to the glucagon receptor. One of the authors, C. Karthikeyan likes to thank University Grant Commission for providing fellowship. The authors wish to thank the Director, Shri G.S. Institute of Technology and Science, Indore for providing the necessary facilities for undertaking this study. American Diabetes Association (ADA)-consensus statement, 1995. The pharmacological treatment of hyperglycemia in NIDDM. Diabetes Care, 18: 1510-1518. Burcelin, R., E.B. Katz and M.J. Charron, 1996. Molecular and cellular aspects of the glucagon receptor: Role in diabetes and metabolism. Diabetes Metabol., 22: 373-396. Chang, L.L., K.L. Sidler, M.A. Cascieri, S.D. Laszlo and G. Koch et al., 2001. Substituted imidazoles as glucagon receptor antagonists. Bioorg. Med. Chem. Lett., 11: 2549-2553. Cho, D.H., S.K. Lee, B.T. Kim and K.T. No, 2001. Quantitative Structure-Activity relationship (QSAR) study of new fluorovinyloxyacetamides. Bull. Korean Chem. Soc., 22: 388-394. Drucker, D.J., 1998. Glucagon-like peptides. Diabetes, 47: 159-169. King, H., R.E. Aubert and W.H. Herman, 1998. Global burden of diabetes, 1995-2025: Prevalence, numerical estimates and projections. Diabetes Care, 21: 1414-1431. Kubinyi, H., 1994. Variable selection in QSAR studies. I An evolutionary algorithm. Quant. Struct. Act. Relat., 13: 285-294. Macolm, N. and J.B. Clifford, 1999. New agents for type II diabetics. Baillieres Clin. Endocrin. Metabol., 13: 309-329. Nauck, M.A., 1997. Glucagon-like peptide 1. Curr. Opin. Endocrin. Diabetes, 4: 291-299. Panzram, G., 1987. Mortality and survival in type 2 (non-insulin dependent) diabetes mellitus. Diabetologia, 30: 123-131. Platts, J.A., D. Butina, M.H. Abraham and A. Hersey, 1999. Estimation of molecular linear free energy relation descriptors using a group contribution approach. J. Chem. Inf. Comp. Sci., 39: 835-845. Selassie, C.D., 2003. Burgers Medicinal Chemistry and Drug Discovery. 6th Edn., John Wiley and Sons, Inc., New York, pp: 19-23. Valeria, K., B. Zsolt, P. Pal, P. Ildiko, K. Erzsebet and Z.K. Maria, 2002. New trends in the development of oral antidiabetic drugs. Curr. Med. Chem., 9: 53-71.